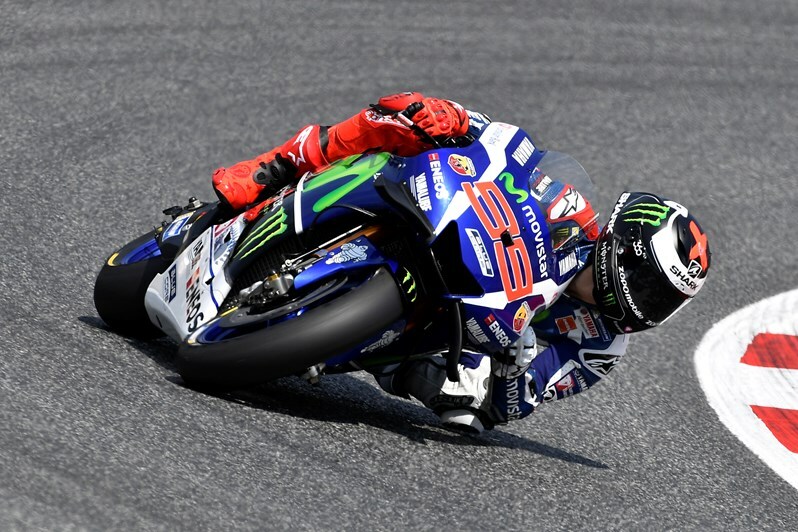 Fresh from yesterday’s Gran Premi Monster Energy de Catalunya, the Movistar Yamaha MotoGP riders were back on track today to complete the one-day Catalunya MotoGP Official Test at the Circuit de Barcelona-Catalunya. Jorge Lorenzo and Valentino Rossi took time to try some new Michelin tyres and there was also an opportunity for them to test a new chassis for the 2016 YZR-M1 and work on some small set up changes to further improve the balance of their bikes. Movistar Yamaha MotoGP riders Jorge Lorenzo and Valentino Rossi returned to the Circuit de Barcelona-Catalunya today to undertake a detailed testing programme. Whilst putting some new items to the test, Lorenzo completed 49 laps and finished the one-day Catalunya MotoGP Official Test in second place. Rossi arrived a bit later to the scene where he secured a brilliant win a day earlier, and used the final three hours of the session to help develop some new Michelin tyres. He ended the day in eleventh place. One hour into the eight-hour long test session, Lorenzo entered the track and started work on his YZR-M1. He spent most of the morning getting familiar with the new items before it was time to pick up the pace in the early afternoon. After already having completed yesterday’s full race distance, he clocked a 1’44.202s on his 26th lap, moving up to provisional first place. His time remained unchallenged until the very end of the session, when the Mallorcan rider had already finished his testing programme for the day. Lorenzo ended second in the final results, 0.239s from the front. With three hours of the session remaining, teammate Valentino Rossi joined his rivals on the Catalan track. He steadily improved his best time over the first hour before entering the top nine when he set a 1’45.454s on lap 23. The Doctor then put his full attention towards developing his bike. Whilst thoroughly testing some new Michelin tyres and a new chassis for his YZR-M1, he got pushed back to eleventh place in the test results and finished 1.491s from first. Tomorrow the team will be back on track for another private test in Catalunya. On the other side of the pit box, Pol Espargaro rode relentlessly as he focused on the new tyres and additionally electronics and suspension settings with encouraging results being achieved. The young Spaniard got straight to work this morning in perfect conditions under the Catalan sun and eventually concluded the day by completing 48 laps, with his quickest time being set on just his third. The 24-year-old focused on setup solutions but a small crash, which he walked away from uninjured, did not slow his work rate. After a constructive day, the leading independent rider in the championship standings now confidently looks on to the next round at Assen in a fortnight’s time.